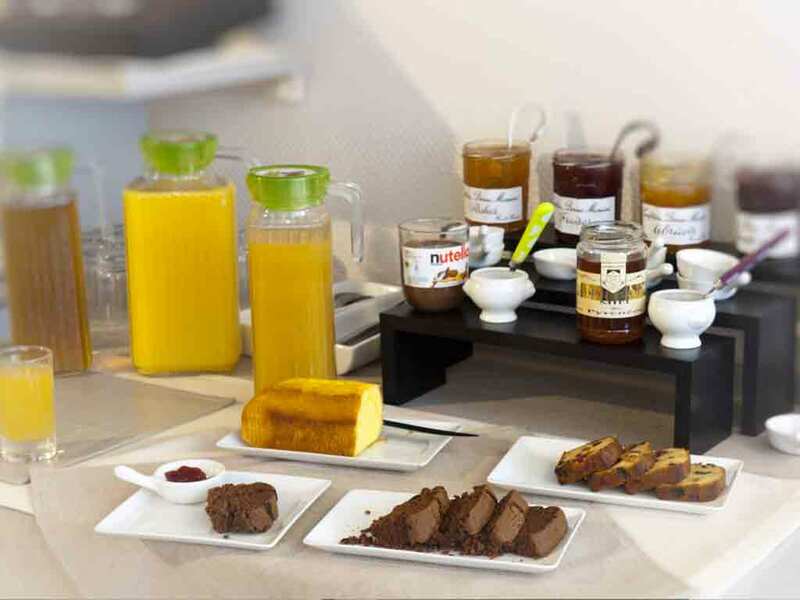 Enjoy a buffet breakfast of savoury and sweet foods for a good start to the day at our hotel near Argelès Port! A comprehensive breakfast with a variety of fresh, high-quality fare to please everybody! You will find four hot drinks (tea, coffee, milk, hot chocolate, cappuccino), four types of cheese, cooked and cured hams, hard-boiled eggs, cherry tomatoes, seasonal and dried fruit, butter, a range of jams and spreads, honey, Nutella, bread and pastries, cereals, yoghurts and apple compote, and orange and grapefruit juice served every day on the ground floor from 8am to 10:30am. Dreaming of breakfast brought to your sea-view room? Or gently waking up on your bedroom balcony? 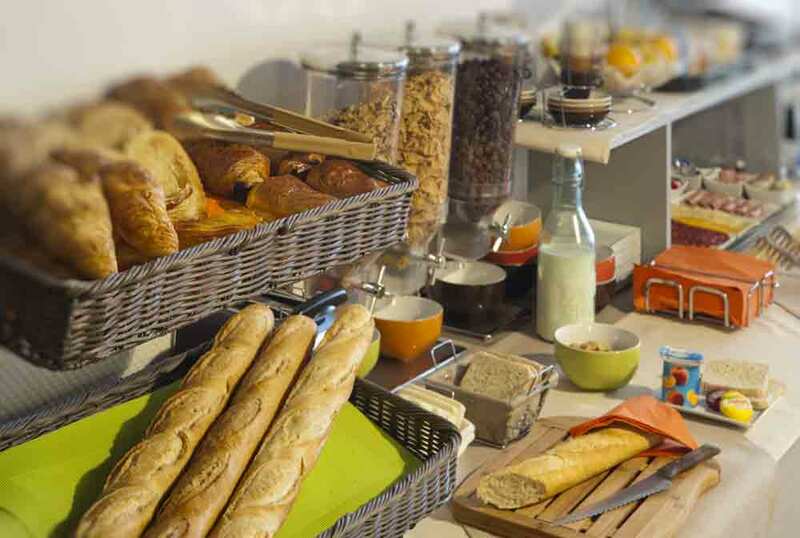 A breakfast tray can be brought to your room on request by asking reception the night before. 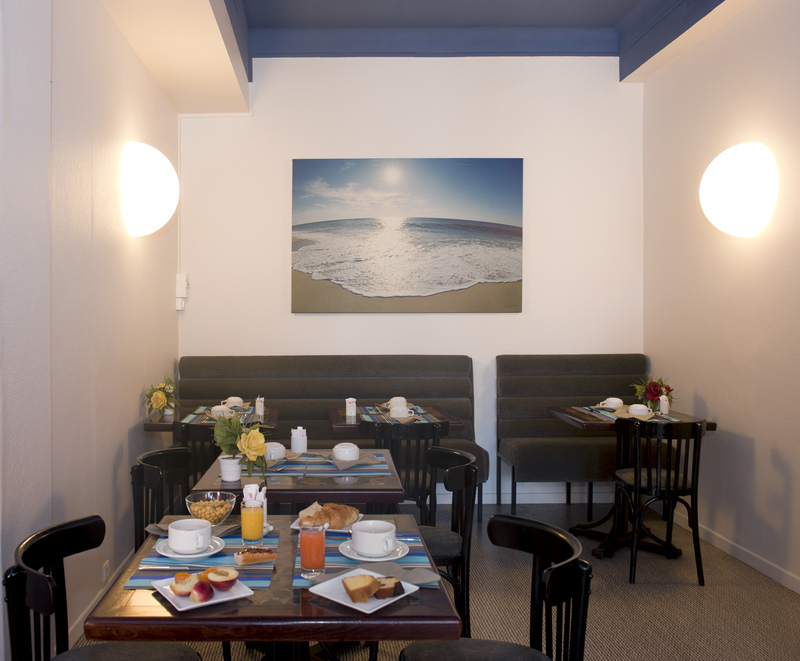 Extra breakfasts are €11 per person per day and €7 for children aged under 10. 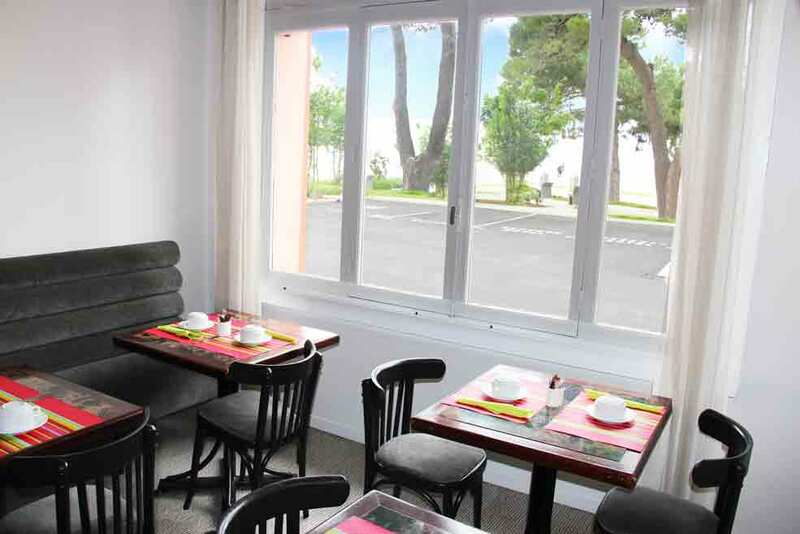 Don’t delay and book your stay with breakfast included at Hôtel Beau Rivage!